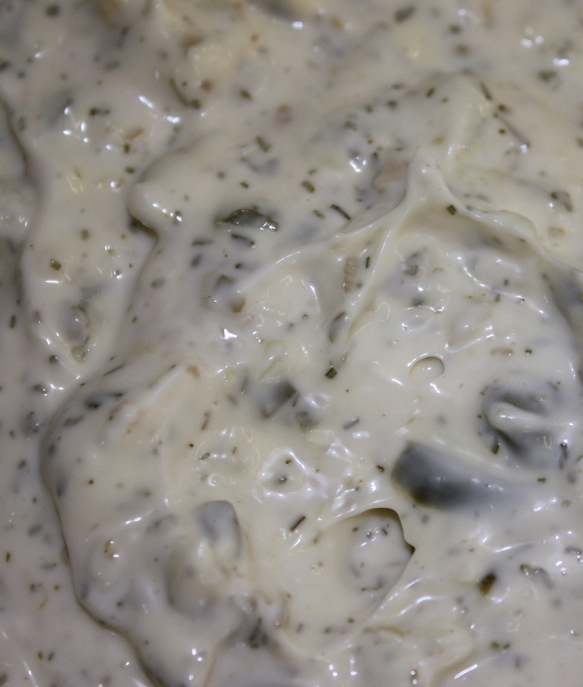 I've been pondering and plotting and planning a 'signature' tartar sauce for a while now. I'm not sure why it's taken me so long (as they say) to Just Do It, but I finally took the time to look over several recipes and play with some of the ingredients. Tartar sauce can be as simple as a little mayo and a spoonful of pickle relish mixed together, but I think with the addition of just a few more ingredients you can go from good to great! If you don't have the time or the energy to make your own we'll have this same recipe all whipped up and ready to roll in an 8oz tub at the shop. For my own personal use I think I might add some finely minced jalapeno to the recipe, so feel free to tweak it to your preferences. Some diced onion or celery might add a bit more texture as well... 1 cup mayo 1 T chopped capers 2 cloves garlic, finely minced 1 T lemon juice 1 tsp minced fresh dill or dry whole dill weed ¼ cup dill or sweet pickle relish (we like the dill) The instructions are fairly simple on this one... just stir to combine! nice recipe. easy, quick, AND delicious. I use it all the time.